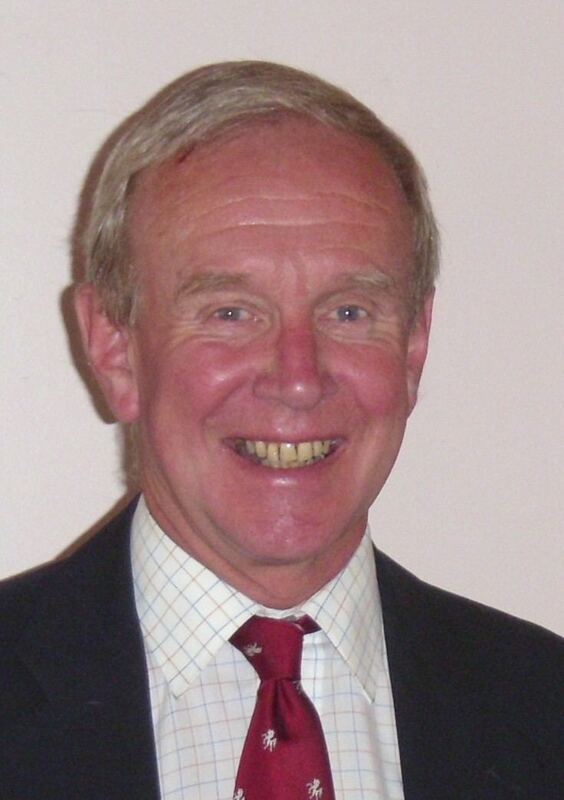 Derek Underwood MBE (born Derek Leslie Underwood, 8 June 1945) is an English former international cricketer, and a former President of the MCC. Underwood was one of the foremost spin bowlers in the world for over a decade, starting from the late 1960s. Not a classical spinner, Underwood bowled at around medium pace and was often unplayable on seaming English wickets, particularly sticky wickets, earning his nickname Deadly, and accounting for the saying that England would "carry Underwood like an umbrella, in case of rain". His inswinging arm ball was particularly noted for dismissing batsmen leg before wicket. 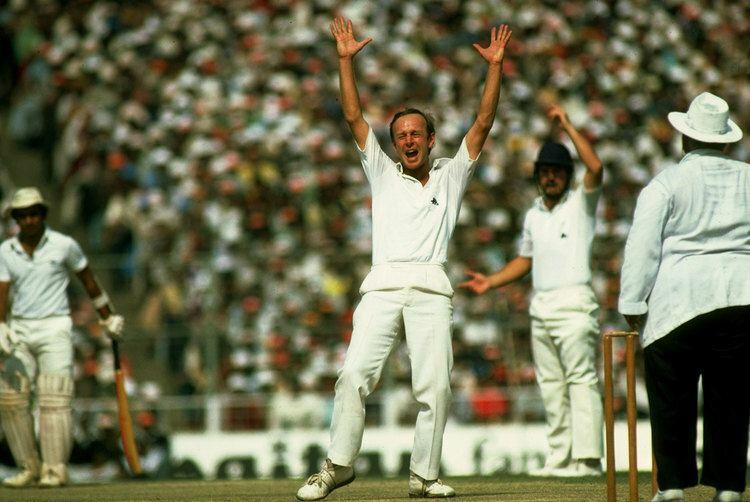 Underwood is noted for his consistent accuracy and Keith Dunstan wrote that he "is inclined to wear a hole in the pitch by dropping the ball on the same spot...". Underwood was a first-class bowler from his teens, and he took his 100th Test wicket and 1,000th first-class wicket in 1971, aged only 25. Only George Lohmann and Wilfred Rhodes had secured a thousand wickets at an earlier age than Underwood. He used to say that bowling was a low mentality profession: plug away, line and length, until theres a mistake, and sooner or later every batsman would make a mistake. Underwood finished his career just three wickets short of 300 in Test cricket, at an average of 25.83. He took the last four Australian wickets in 27 balls in the final half an hour at the end of the fifth Test in 1968, after a heavy thunderstorm on the fifth day had all but ended the match, to square an Ashes series that Australia were winning 1–0. He also toured Australia in 1970–71, dismissing Terry Jenner to win the seventh Test at Sydney, and regain the Ashes. On 16 July 2009, Underwood was inducted into the ICC Cricket Hall of Fame, along with others including Neil Harvey, David Gower and Allan Border. Underwood was born in Bromley, Kent, England, and was educated at Beckenham and Penge Grammar School for Boys. He played county cricket for Kent, making his first-class debut against Yorkshire aged 17 in 1963. He became the youngest player to take 100 County Championship wickets in a debut season. He went on to take 100 wickets in a season a further nine times. His batting was less accomplished, averaging barely over ten runs per innings in 676 matches. Underwood was one of five England cricketers (the others being Alan Knott, Dennis Amiss, Bob Woolmer and Tony Greig), to feature in Kerry Packers World Series Cricket in the late 1970s, and tour South Africa in 1981–82. Underwood was almost unplayable on damp wickets, but on dry tracks he would often push the ball through a little quicker and flatter, not wanting to risk being hit over his head, which he always hated. Oddly, he rarely completed a whole Test series for England, as a succession of England captains would switch to bigger turners of the ball, such as Norman Gifford. He scored his first and only first-class century (111) at the age of 39, in his 591st first-class match. It was played at Hastings, a favourite bowling haunt for Underwood who, having gone in to bat as nightwatchman, finally reached the hundred mark in his 618th first-class innings. The cricket writer Colin Bateman noted, "there was no more popular century that summer".